Computer science has a long and complex history with programming languages. Historically, we have conducted evaluations using proofs, to ensure they give us the answers we intend, and performance data, to ensure they perform efficiently. While these two techniques are well established and important, I argue a third is fundamentally missing from the design process: a scientific analysis of impact. In the academic literature, for example, there is a near-complete lack of replicable scientific evidence regarding how the design of programming languages impacts people or communities, which has led in part to the programming language wars. In this talk, I introduce Quorum, the world's first Evidence-Oriented Programming language. Throughout it, I will discuss the specific evidence gathered on Quorum to-date and how other designers can use it to improve or evaluate their own products. Along the way, I will provide information on the history of evidence gathering through the centuries and why rigorous attention to the scientific method in this domain is crucial for the future of computer science. 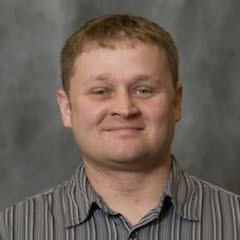 Andreas Stefik is an assistant professor at the University of Nevada, Las Vegas. He completed his Ph.D. in computer science at Washington State University in 2008 and also holds a bachelor's degree in music. Stefik's research focuses on computer programming languages and development environments, with an emphasis on how competing language designs impact people in practice. He won the 2011 Java Innovation Award for his work on the Sodbeans programming environment and is the inventor of the Quorum Programming Language. His work is funded predominately through the National Science Foundation, most recently through the AccessCS10k alliance.